The PERFECT VACATION DESTINATION is waiting for your family to enjoy! Gorgeous Unit is decorated to please the eyes. It includes 3 bedrooms with 3 bathrooms featuring floor to ceiling windows in the main living area and master suite. In the spacious Master Suite you will enjoy the King size bed with Satellite TV and DVD player for your viewing pleasure. Bedroom 2 has a king size bed and combination bath/shower. Bedroom 3 has a queen size bed with a combination bath/shower. The kitchen is fully equipped with cooking, dining, and serving utensils/dishes. There is also a wet bar with ice maker, many glasses and a Stereo/CD Player for your listening pleasure! FREE Wi-Fi INTERNET FOR EVERYONE STAYING IN THIS UNIT!!! The kids will love the water slide and pool area! EVERYONE will enjoy floating on the "LAZY RIVER"! There are 2 outdoor swimming pools and baby pool for the little ones. Inside amenities include a heated pool, hot tubs, sauna, and fitness room. Lighted Tennis courts on the roof! A putting green is also offered for practicing on the BIG COURSE! If you love fishing, there is a boat launch, pier, fish cleaning station, and boat/jet ski trailer parking on site. Nearby you will find dolphin sight-seeing boat trips, deep sea fishing and championship golf courses, shopping at unique local stores or the outlet mall in Foley, and of course the miles and miles of sugar white sand beaches all waiting for you. Nightlife and fine dining are plentiful in the Orange Beach area. This unit is managed by White Shores Realty on behalf of the owner. Parking: You must purchase your parking passes upon arrival. You are allowed two with this property. Talk about a great place, the only time we left the complex was to get more groceries!!! Super clean unit, well stocked clean kitchen. Bedrooms are huge with clean linens, enough towels to go around. The pool area felt like you were in the islands with the lazy river and beautiful landscaping! My kids were exhausted from playing in the pools all day and went to bed early so we were able to enjoy the huge deck in peace and quiet. Rental company was a breeze to work with, provided answers to all my questions as well as competative rates! We'll be back next year! What a pleasant experience from White Shores Realty to the room, we had a wonderful trip. This was my first vrbo booking, and I will be back to this unit again! Wish I could be here every day! This was the best vacation we have ever had! I never wright reviews, but we loved this place so much I had to go online and write one! The unit is huge and the amenities were amazing. We felt like we were at a water park! We will book this unit again next year! Such a GREAT VALUE! Very CLEAN and SPACIOUS! Fubulous Condo! 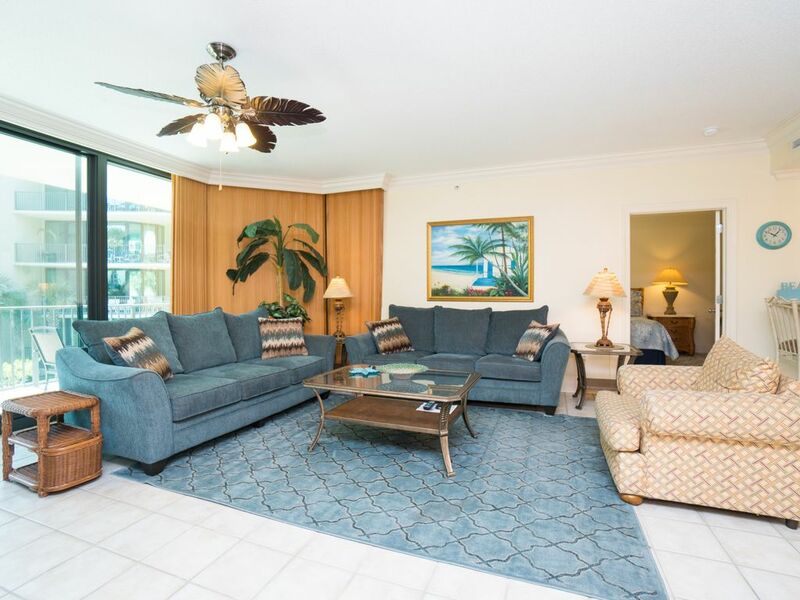 We love this unit at Phoenix on the Bay! It is VERY CLEAN every year we visit. The unit is VERY SPACIOUS! The complex is great! You never have to leave! Lazy river, tanning decks, pools, hot tubs, putting green, fishing, etc! White Shores Realty manages this unit and they always give us a GREAT DEAL! They are always very helpful and hospitable. Chandler @ White Shores Realty helped us out BIG TIME with this unit! We will be back forever and ever! Deep Sea Fishing, Historical Fort Morgan, Wharf Amphitheatre for Concerts!